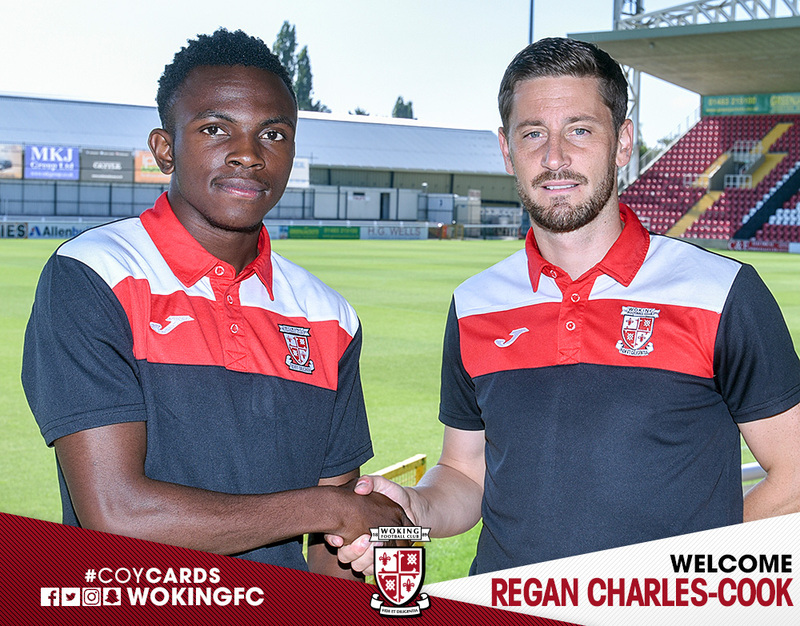 Woking Football Club is delighted to announce the signing of Regan Charles-Cook on loan from Charlton Athletic until January. Regan, 20, is a midfielder who came through the youth systems at Arsenal and then Charlton, making his debut for the Addicks in 2015. He has made 3 appearances for the Charlton first team this season, scoring his first goal in their 2-1 victory against Exeter City in the EFL Cup last month. Regan on signing on loan for the Cards: "I'm buzzing to be honest, I can't wait to get started, I want to be involved in the weekend. I spoke to Anthony during the week and he was telling me his plans, the way he likes to play, which also fits my style because I also like to get the ball down and play little one-twos and get on the ball. I also know a couple of players here and they have told me good things about Woking." Anthony Limbrick commented: "Regan is a player we have been monitoring for a while and we are delighted to have secured him on loan. He is a player who can play a variety of midfield positions and has good experience at this level having played at Solihull Moors last season, scoring 4 goals from 13 starts." We welcome Regan to the club!